3429 Springhill Rd, Mountain Brook, AL.| MLS# 801189 | Richard Jacks UABLIVING.com 205-910-2297 | Birmingham AL Real Estate | Contact us to request more information about our Homes for Sale in the Birmingham AL area. Seller to offer $5000 in closings costs or $5000 allowance for backyard landscaping, with a reasonable offer! One of BEST DEALS in Mtn Brook!!! At $115 a sq ft this is great investment for such a spacious home!! Investors welcome to put in an offer! Beautiful traditional Home in Brookwood Forest! 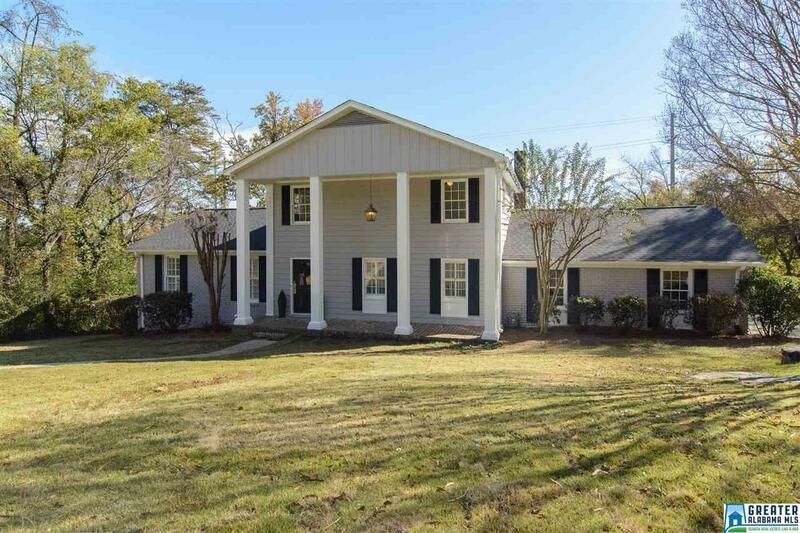 This 4/3 home has been freshly painted inside and out with breathtaking views of Double Oak Mountain. The open concept kitchen flows perfectly into the family den with the wood burning fireplace, to the covered deck, to the extra large bonus/play room. This home is ideal for entertaining large family gatherings. New Roof, New Garage Door, New Hot Water Heater....all it needs now is a New Family! Immediate occupancy available! Driving Directions: From 280 Take Overton Rd. Left Onto N Woodridge. Left Onto Westover. Left Onto Springhill Rd. House Is On The Left.